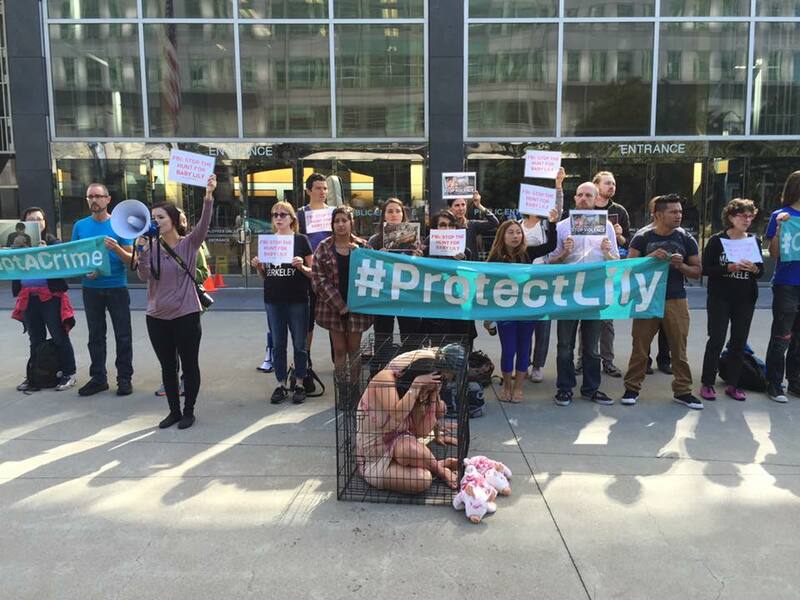 DxE activists held a rally to #ProtectLily outside of the FBI offices in downtown San Francisco after Glenn Greenwald published an expose on the FBI's hunt for Lily and revealed the government's efforts to cover up the violence of factory farming. In Kyiv, Russia and at other VegFests around the world, DxE is introducing people to Open Rescue through virtual reality. 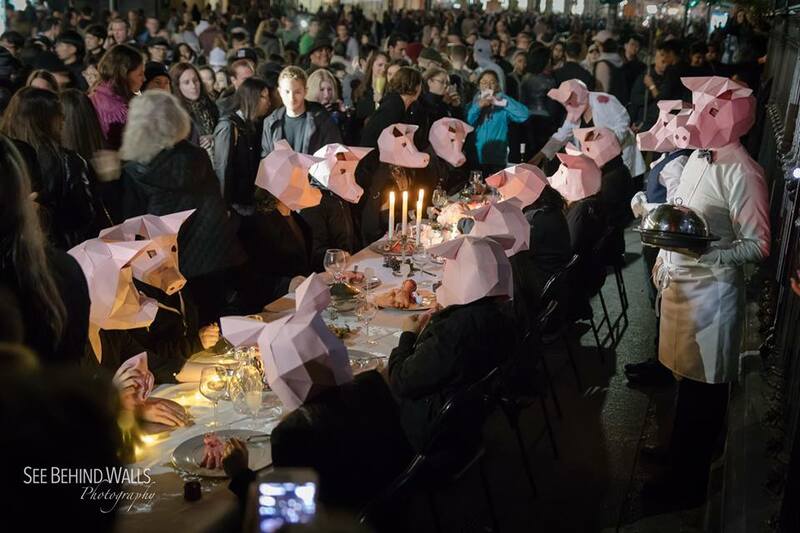 At the street art festival, Nuit Blanche, DxE Toronto turned the tables on violence toward animals with an art installation of a dinner feast in which pigs are eating humans. Best Video You Will Ever See shared footage of a Save vigil in Montevideo, Uruguay.